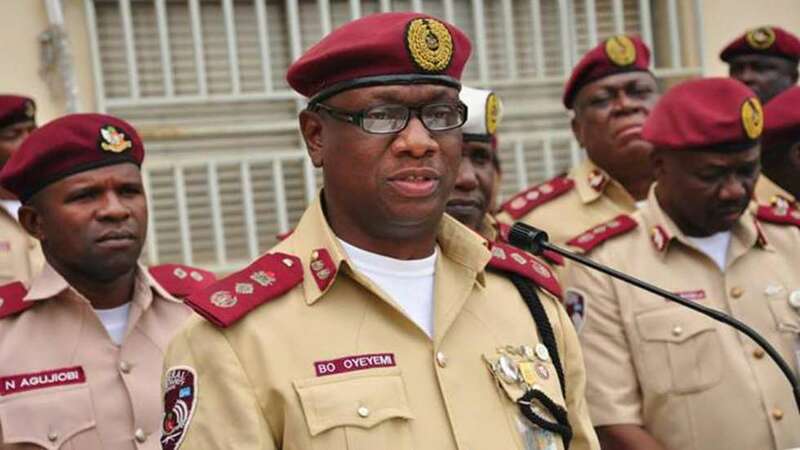 In continuation of the 2018 promotion exercise by the Federal Road Safety Corps (FRSC), the Corps Marshal, Mr Boboye Oyeyemi, has flagged off the segment for the Assistant Corps Commanders rank to Deputy Corps Commanders. Business Post gathered that about 328 personnel of the corps on the rank of Assistant Corps Marshal are attending the two weeks promotion program preparatory to taking the promotion examination at the end of the course. In a statement issued on Tuesday, the Corps Marshal pledged that the process would be free and fair, assuring that level playing ground would be provided for all participants. Declaring the exercise open yesterday at the FRSC Academy Udi, Enugu State, the FRSC chief stressed the need for participants to exhibit hard work, good conduct and discipline as a way of sustaining the positive public image acquired by the corps over the years. Mr Oyeyemi noted that with the past experience of the federal traffic agency in matters of promotion, he was confident that there would be continuous improvement in the system and everyone would be fairly treated to get what they deserved. The Corps Marshal enjoined officers to think outside the box in their commitment to pursuing excellence in the Corps, and called for rededication of officers to issues of capacity development. in whatever assignments they were given to do. Speaking on the health status of staff of the agency, the Corps Marshal stressed the need for all staff to engage in physical fitness exercise, avoid drugs and any habit that could endanger their health. He promised to ensure prompt intervention of the Management in medical cases that require such attention, but warned staff not to hide their medical conditions. On the ongoing reforms in the FRSC, the Corps Marshal paid glowing tribute to the present administration of President Muhammadu Buhari for providing necessary moral and logistics support which has improved the service delivery capability and operational capacity of the corps. He recently commissioned 74 patrol vehicles and 3 ambulances provided by the federal government. The Corp Marshal charged the participating staff to work harder to pass in the examination in order to justify their quest for elevation so that members of the board can take decisions that could please everyone.